Hey everyone! 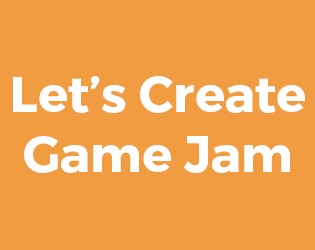 Welcome to the Let's Create Game Jam #1. This is a month long game jam being hosted in August. More information will be coming over the next few weeks. For any questions check the FAQ below. The prize for the jam will be given by Tornado Bandits Studio, it is the low poly dungeon pack which you can see below. Will all team members receive the prize? The prizes given in the game jams are of high value. For this reason one key will be given to the team or individual who wins. If the partner supporting our jam has multiple keys available 2nd and 3rd place will also receive a prize. What platform can I develop for? Windows/Mac/Linux are supported, I personally will be judging games using a windows 10 machine. Web games are also supported. How big can a team be? You can make a team of any size, an individual can enter or a team can enter. I suggest only working with a maximum of three people as it can be hard to manage bigger teams in game jam events. How can I get in mini spotlight videos? The best way to get into a spotlight video is to share a short 20 second clip of your game in the community page on the how off your work thread. By making it a focused 20 second clip I won't be required to edit the footage allowing me to easily make the spotlight videos. Can't find an answer? Create a topic on the community page. Sharing your work on Twitter? Make sure to use #letscreatejam as a tag! Unravel the mystery of the clock tower, race against time and save the world. 2D platformer where you use your own deaths to advance the level! Battle evil robots in the world of Ethion as a Secondeer. An 8-Bit Sci-Fi Horror 30 Second Quest. An ultra-quick tile based game. Escape the dungeon... The falling dungeon!!!! You are testing a new recording technologie, but it's limited to 30sec ! A puzzle platformer in which you finish levels by controlling time. You are alone in a graveyard. Water is rising. Will you be able to solve the puzzle before the abyss claims your soul? A simple top down shooter with simple enemy patterns that are easy to learn and easy to survive. First person blow em up game . shoot the objects to gain more time. About Bashing Boomlings. Made for Let's Create Jam. Rogue Like, Top Down, Fast Paced. Get hats as power ups. Defense your computer from virus attack. Game for Matthew Palaje's "Let's create a GameJam"
A 30-second game jam game. Don't let yourself get pulled back down into the castle! A top-down shooter where you have 30 seconds to score points. Reset your time - and your score - at any point! Be a cell, do quests, you got 30 seconds to do so!